When I shy away from eating salad at lunch, I struggle to come up with healthy lunch ideas that are warm and fulfill my “comfort food” craving. 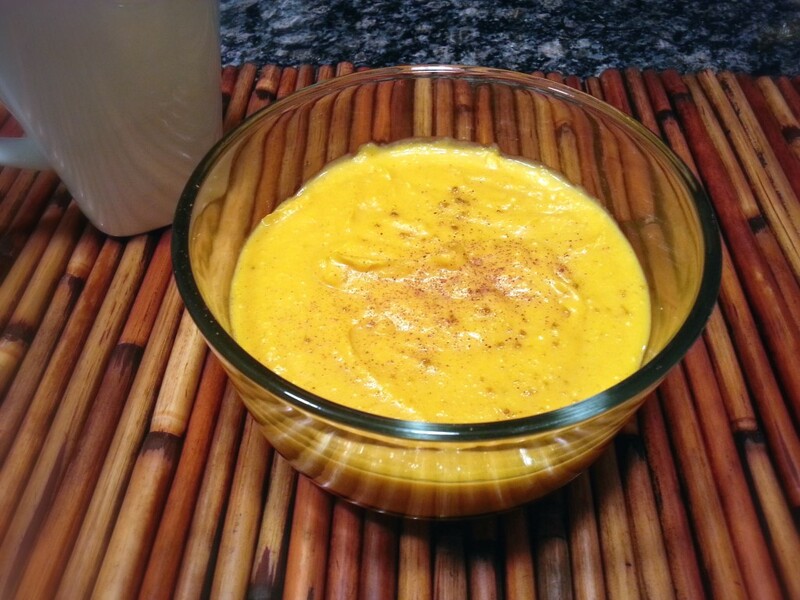 Soup is one of my go-to options, but I get bored with my usual chicken noodle or vegetable soups. 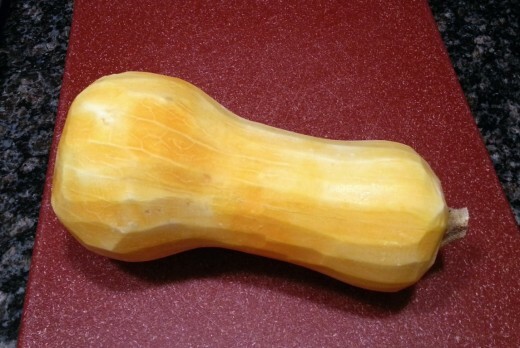 I went out for lunch at Panera awhile back and decided to try the butternut squash soup. I didn’t know what to expect and wasn’t sure if I’d like it, but it was amazing and I was hooked. Since I don’t go out for lunch frequently, I decided to try making my own version of this soup. Not only is it cheaper, I can control the ingredients and know exactly what I’m eating. This soup has a thick and creamy consistency that makes me feel like I’m indulging in comfort food, but it’s in fact quite healthy. 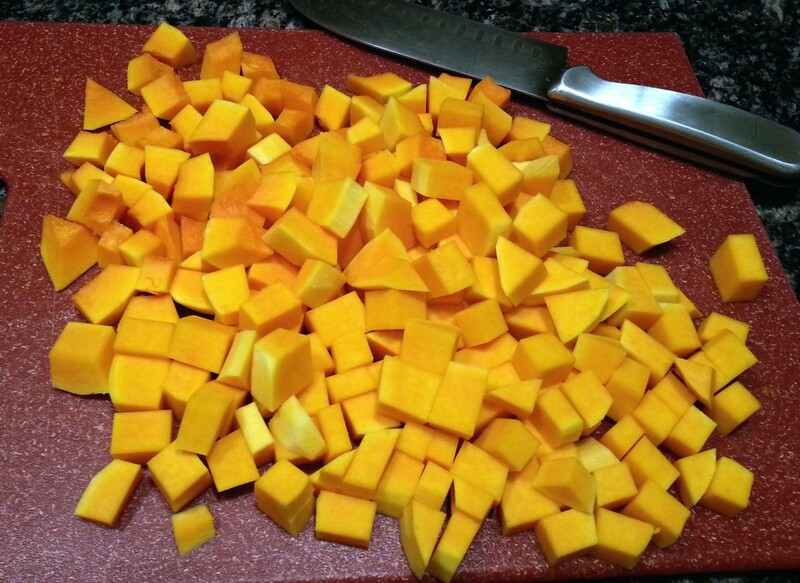 Butternut squash is not only high in fiber, it’s an excellent source of Vitamin A and Vitamin C. It’s also very versatile and is delicious in many recipes; try adding diced, roasted squash to pasta or pureeing a little with some other vegetables in soup to make it thicker. Lately, I’ve been into roasting the squash and topping it with greek yogurt mixed with tahini (thanks to the Plenty cookbook!). 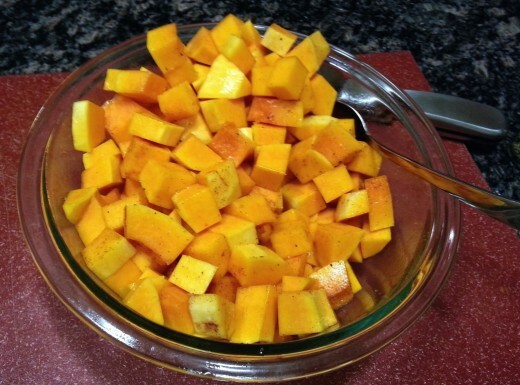 The only time-consuming part of making this soup is roasting the butternut squash. 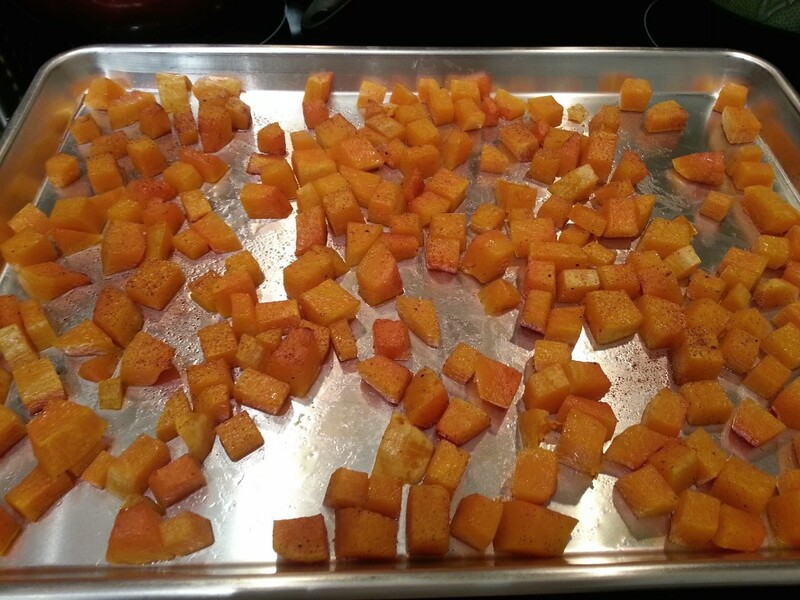 If you’re looking to get dinner on the table in 15 minutes or so, I’d recommend roasting the squash the night before. It stores well in the fridge overnight and saves you 45 minutes the next day. Preheat the oven to 400°F then peel the squash. 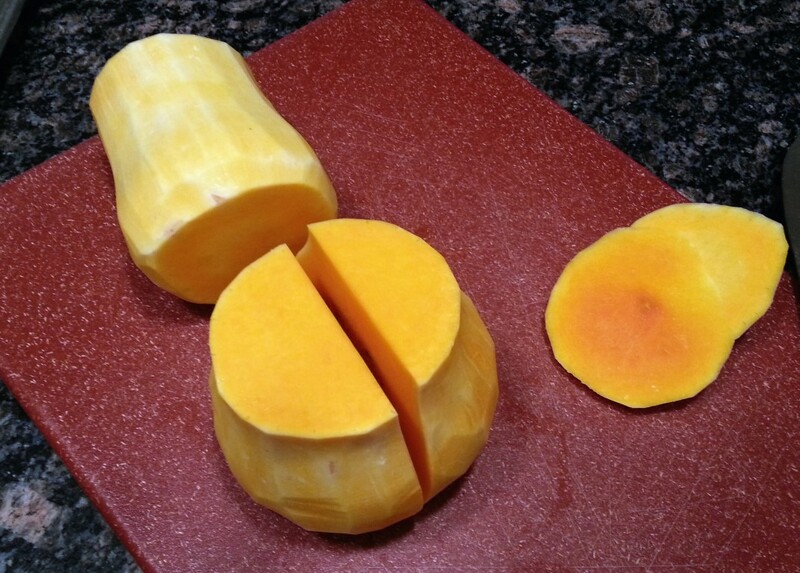 Cut off the ends, then cut the squash in half, across the width. 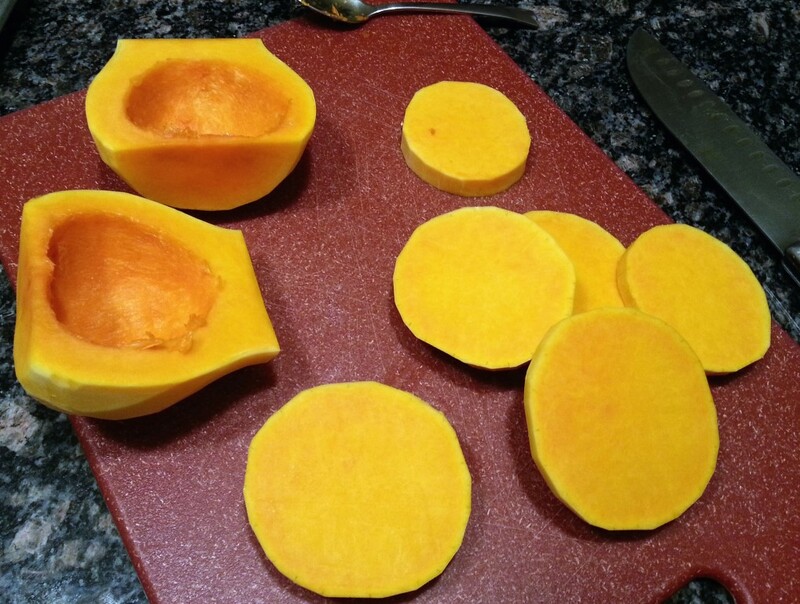 Cut the base in half to expose the seeds, then use a spoon to scrape them out. Slice the top part into thin discs and the bottom part into wedges, then dice. Transfer the cubes to a bowl and drizzle with olive oil. Give it a quick stir to coat the squash, then season with salt and pepper. Line a baking sheet with parchment paper for easier cleanup, then spread out the squash evenly onto it. Bake for 35 to 40 minutes, or until soft. Carefully spoon the squash into a blender. Pour in 1 1/2 cups chicken broth, 3/4 cup heavy cream and 3/4 cup apple juice. I prefer juicing my own apples, but you can also use store-bought if you don’t have a juicer or want to save time. Blend on high until smooth. If it gets too thick, add a little extra chicken broth. 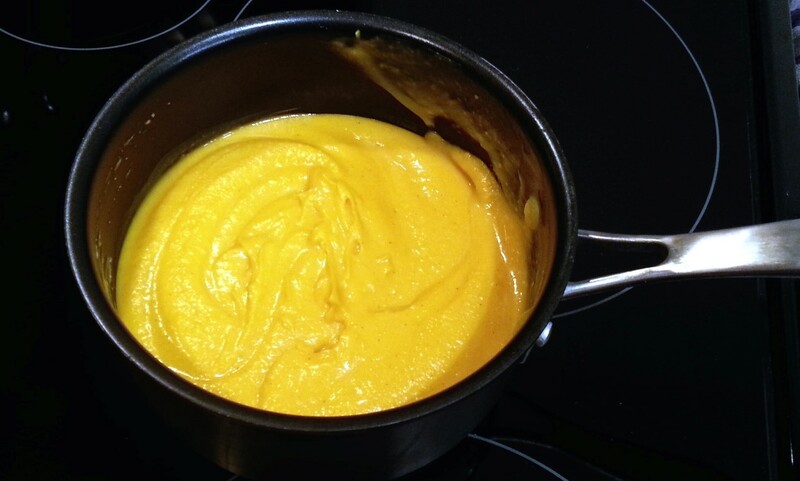 Slowly pour the soup into a sauce pan and heat over medium until heated through. Stir in honey, curry powder, cinnamon, salt and pepper. Top with pumpkin seeds if you desire and serve immediately! Next time I make this, I might try substituting milk for the heavy cream to make it even healthier. 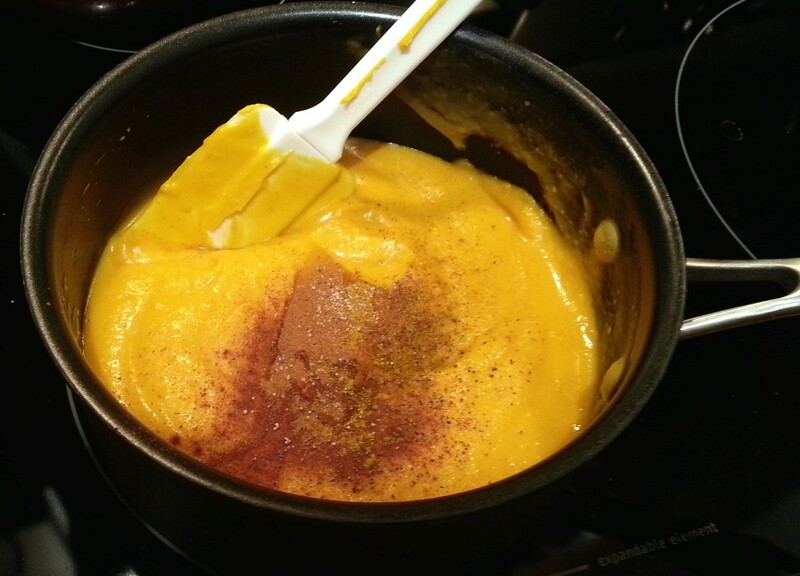 The soup is already so flavorful and creamy from the squash, apple juice, and spices; I don’t think any compromises would be made. 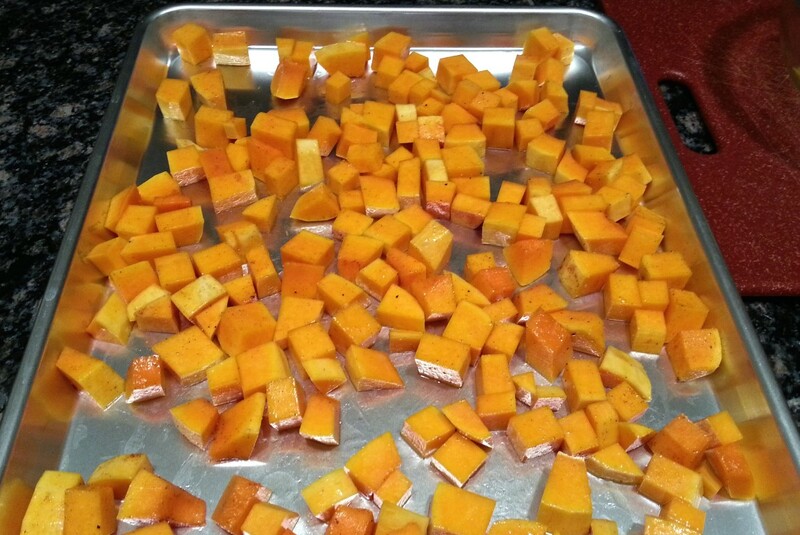 Have you tried any interesting recipes with butternut squash or have recommendations for new ways to prepare it? Share below! Heat oven to 400°F. Peel, seed, and chop butternut squash into cubes. Toss in olive oil and place on a baking sheet. Roast for 35-40 minutes until fully cooked and soft. 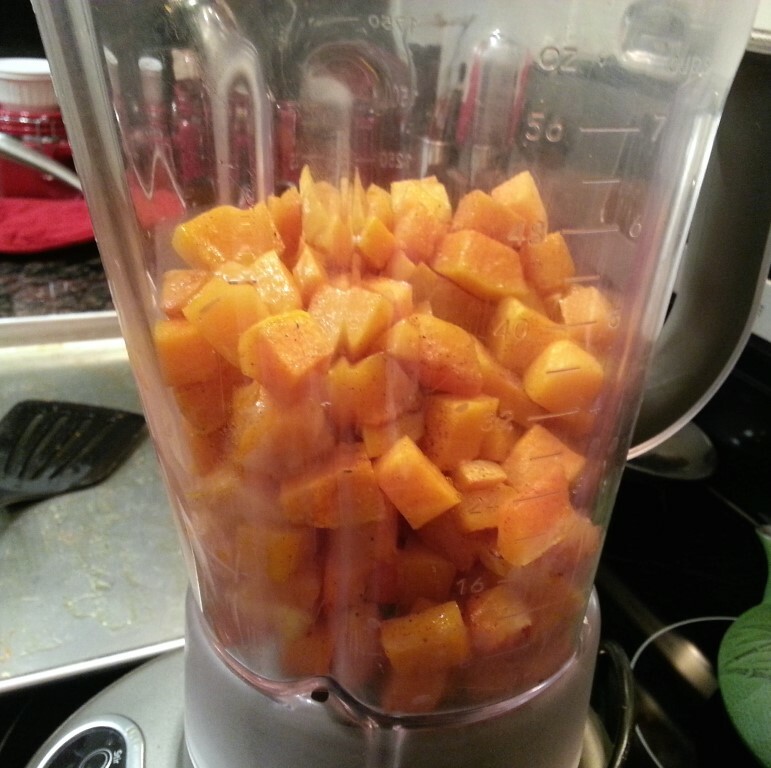 Add squash to a blender. Slowly pour in broth, juice, and cream. Blend until smooth. Pour soup into a saucepan and heat over medium until heated through. Add in honey and spices and stir. 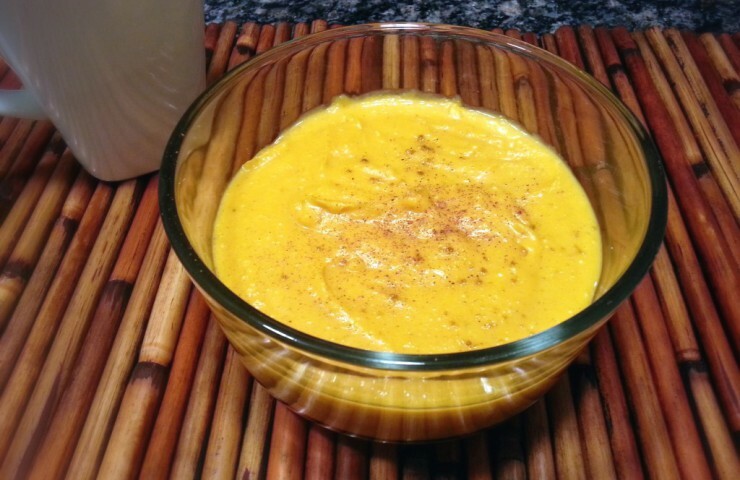 Top with pumpkin seeds and serve! What are the recommended serving temperatures for wine?